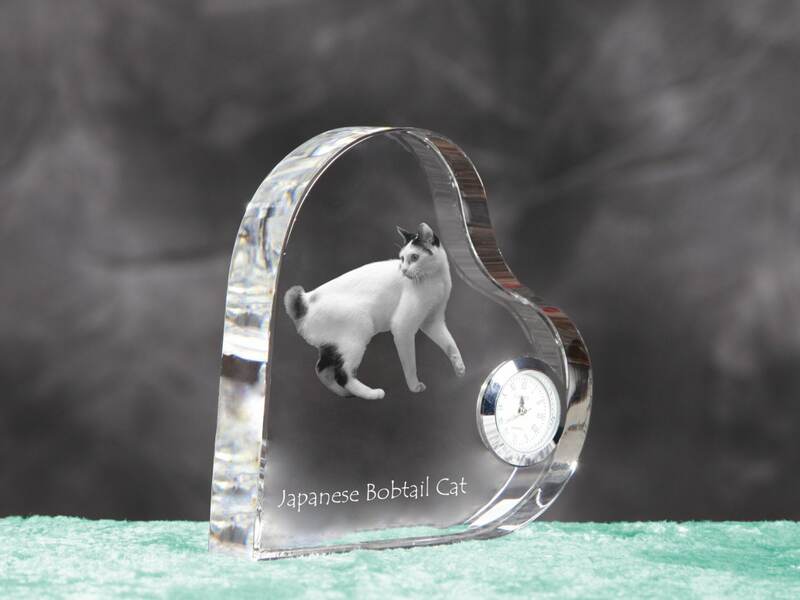 Japanese Bobtail- crystal clock in the shape of a heart with the image of a pure-bred cat. 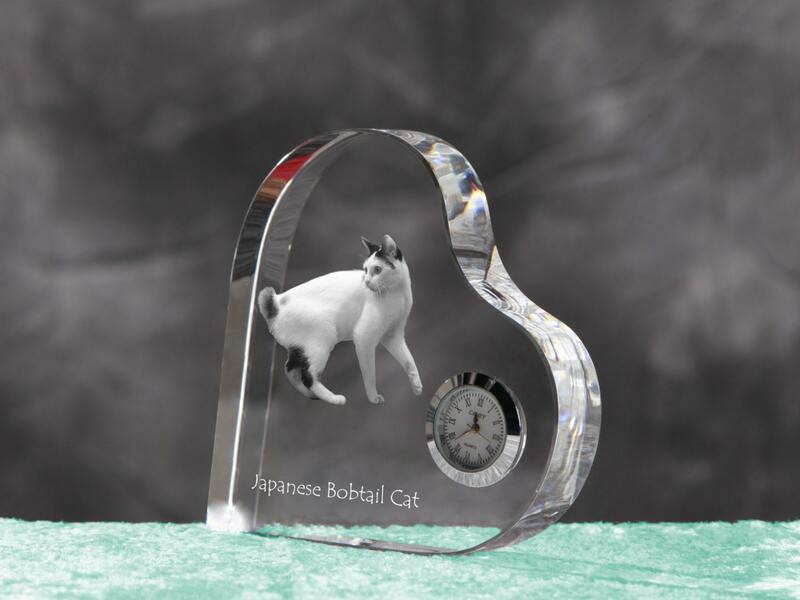 A collection of crystal clocks with the image of a cat. A perfect present for fans of cats who care about the decor and interiors of their homes. 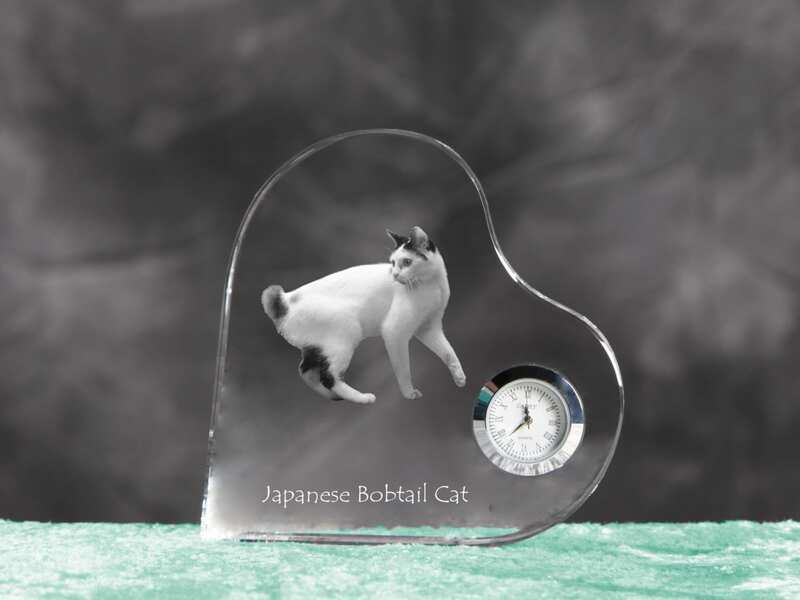 High-quality engraving made on professional laser, perfectly reflects the breed of a cat.